Would I buy a HP EliteBook 840 G5? Not really, I'm looking for something else in laptops. Nevertheless, I can recommend it to most so-called business users with a clear conscience. 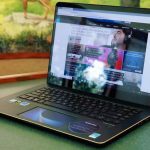 The new EliteBook 840 G5 disappointed me with only one feature, I will tell about it below. Rarely gets into my hands so full,thoughtful and well designed laptop. This computer, created primarily for the so-called business user and above all, to improve performance, efficiency and reliability. But, here we will find excellent speakers and other features of a good entertainment computer. 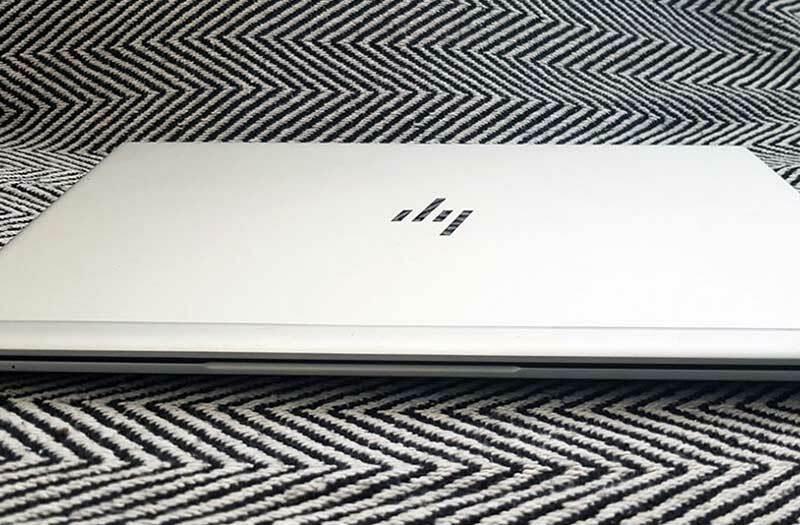 But, HP EliteBook has an Achilles heel - I will tell about it in the review. Already out of the box, new business equipment from HPmakes a very good impression. The laptop comes in a very elegant aluminum case. Simplicity and minimalism prevail here, which is strange, but I really like the HP logo on the lid of this notebook. When we open the EliteBook 840 G5, we will seeThe keyboard (and as tests showed is devilishly comfortable) with a backlight and a trackpad. In the upper left corner there is a power button, which is typical for computers of this manufacturer and the same characteristic speaker grilles. 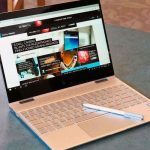 The laptop uses a Bang & Olufsen sound system that provides a surprisingly good sound to a portable device. On the left side there is a USB 3 connector.0 with charging function, even when the computer is turned off, and a card reader. On the right there is a USB-C Thunderbolt, a connector for HP, RJ45 docking station, HDMI, USB 3.0 and Combo (microphone + headphones). 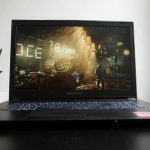 The equipment measures 32.6 × 23.4 × 1.79 cm and weighs1.6 kg This is not the thinnest and lightest 14-inch laptop on the market, but I was not disappointed with its tests. If in return I get a high work culture and long battery life, this size and weight is certainly acceptable. Unfortunately, I could not check the strengthdevice as it should, because I can not afford to damage it, but, theoretically, we can work in almost any environment. This is evidenced by the certificate MIL-STD-810G issued by HP EliteBook 840 G5. It means that we can work in places with very high humidity, low and high temperatures, where vibrations and noise interfere. EliteBook 840 G5 is equipped with a Sure View display -very interesting technology from HP, also used on other business laptops of this company. In the Sure View mode, which is activated by a special button, we pay more attention to protection and privacy. Viewing angles are minimized - no one sitting next to the laptop can see the contents of the display. Useful if you need to work with confidential data on an airplane, train, or other public places. If we are afraid that someone will be able to watchus through the computer, the EliteBook 840 G5 is equipped with a physical flip for the webcam. You will also find a fingerprint authentication and facial scan mechanism on the computer — both are compatible with Windows Hello. 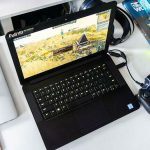 This EliteBook is also equipped with the Sure Recover function, it can instantly restore a damaged system to its factory state, there is also a dual BIOS. In the HP EliteBook 840 G5 we find the 14-inchIPS matrix with Full HD resolution. This is not a bad panel for working in Excel, Gmail, PowerPoint or similar applications. Nevertheless, I started testing this business laptop while watching a video on it. Everything looked great. 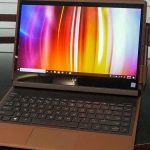 But, the screen is not very bright, and its colors are a bitfaded compared to devices such as Surface Pro or Huawei MateBook Pro. Yes, this is not equipment created for games and movies, but I think it will be a problem for those who live from photo and video editing. Experience sharing comments with colleagues onTesting laptops taught me that there is no more ambiguous thing in a laptop than a keyboard. Different users have different preferences - for example, I will never understand the fascination with mechanical keys. How do you spell the EliteBook 840 G5? Perfect for me. The keys are big, they have a great click. Their ample 1.4 mm overhang fits perfectly with my preferences. 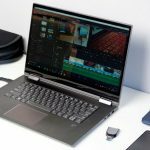 The presence of convenient mouse control is alwayshappy - quick correction of the position of the cursor without changing the position of the hand - Lenovo's great invention, and it’s good that HP accurately copies it. The panel is large and comfortable, although the buttons located in an unusual place - on the upper edge - require habituation. I still do not know if this is a good idea, but I can say that after two days of use it has ceased to matter to me. I would like other computers to take an example.with the HP EliteBook 840 G5. As always, the manufacturer, in order to make the best impression, provided one of the most elegant options for review. 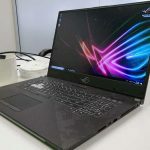 It is hard not to surprise the very high performance of iron, which includes a quad-core Core i7-8650U processor with 16 GB of RAM and a 512-gigabyte SSD drive M.2 PCIe NVMe. With this EliteBook I didn’t think about disablingapplications to free up memory or resources. Several desktops in Windows, where I opened Photoshop, Lightroom, Word, many tabs in Edge, YouTube, applications for instant messages and calls. It all just works. Fast and efficient. More interesting is the fact that even with very intenseWork EliteBook 840 G5 does not heat up to an awkward level. The hard work in Adobe Premiere Pro made the keyboard next to the trackpad at the bottom of the computer become warm. However, this is not the temperature that can become unpleasant or destructive. What is battery life? With the maximum display brightness, Bluetooth enabled and Wi-Fi connection, I achieved a result of more than seven hours and a little less than eight. I could probably get much more if I started worrying about wireless communication or display brightness, but I didn’t see any point in it - with such parameters the result is higher than needs and expectations. 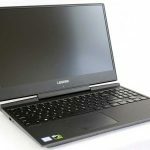 Hybrids are still the best among myfavorite computers - tansformery or tablets with a keyboard. However, this is a subjective opinion. Objectively - the HP EliteBook 840 G5 is a brilliant device in every category. Safe, durable, elegant, fast, well thought out, with an excellent keyboard and trackpad ... if not for the display, I would have started to worry that the review would be too similar to customized (laudatory). This is a top class computer, so the price is here.appropriate. You will have to pay more than 130 thousand rubles. for the version I am testing. However, this laptop will quickly pay off, after all, I’ve tested a copy from HP, one of the PC market leaders.